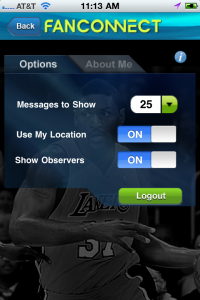 We launched the Ron Artest – Let’s Do It App! two weeks ago and it quickly rose to #6 in the iPhone Sports category. Thanks for Ron for helping us create another hit App. 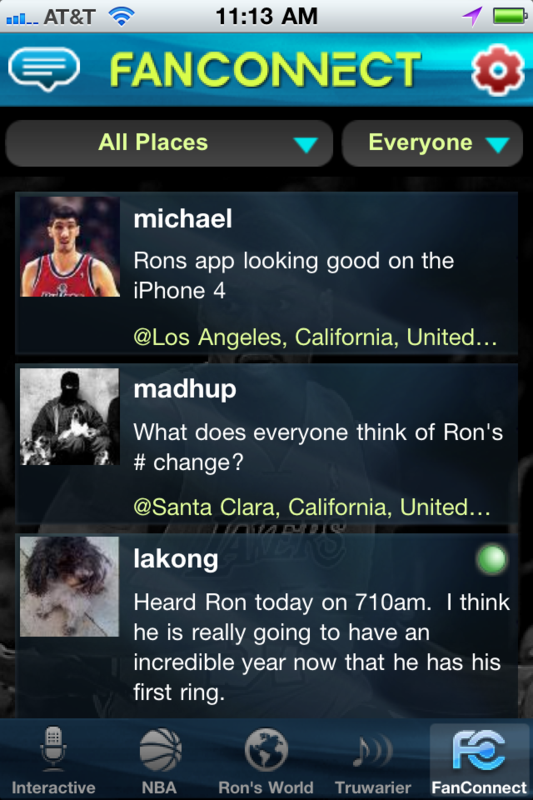 Ron’s App has many compelling features including great videos, blogs and music from Ron. 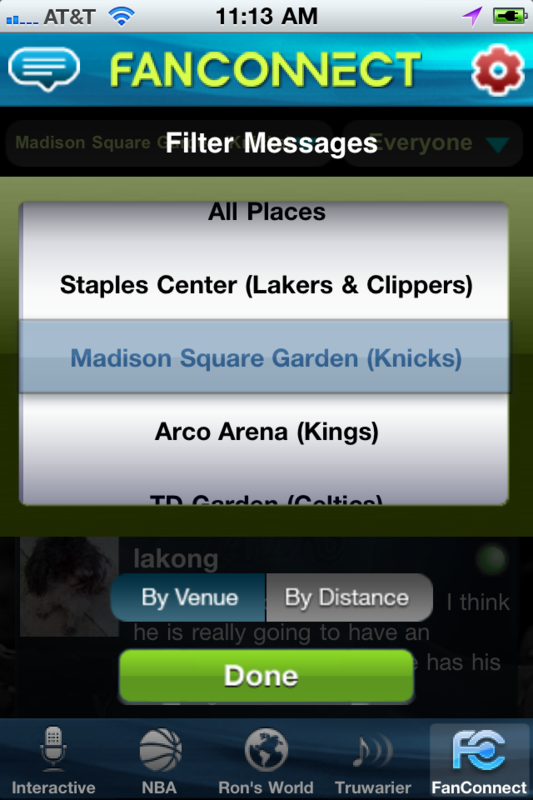 One aspect of the App that has been especially popular with users is FanConnect. 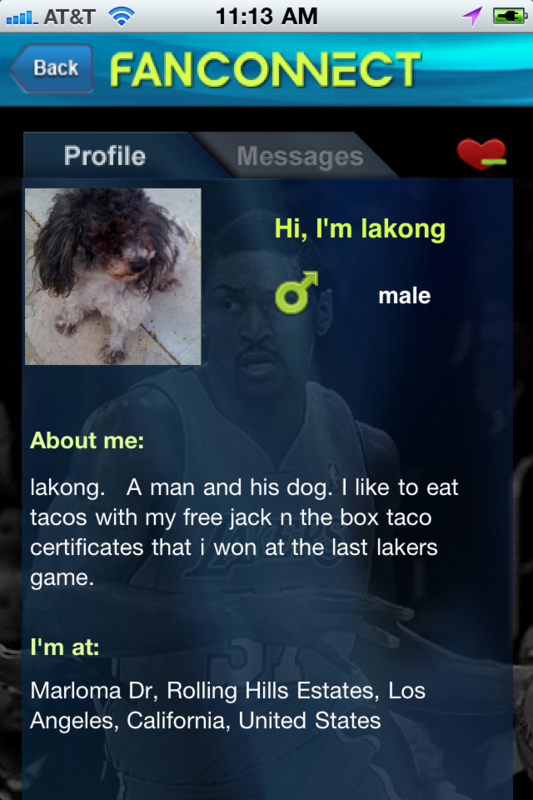 FanConnect, as the name implies, is a great way for fans who share an interest in a sports team — in this case the Lakers — to get together and talk about their team. 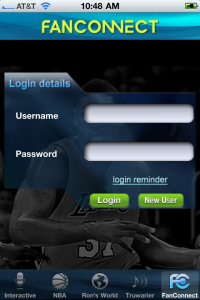 FanConnect is especially cool during games. Fans get together during each game and cheer on Ron and the Lakers, let out their frustrations about the officials and simply have a great time with people who share the same passion. 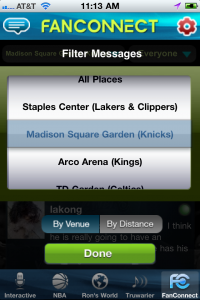 For fans who are at the game, FanConnect identifies your location and marks your messages as coming from the arena. 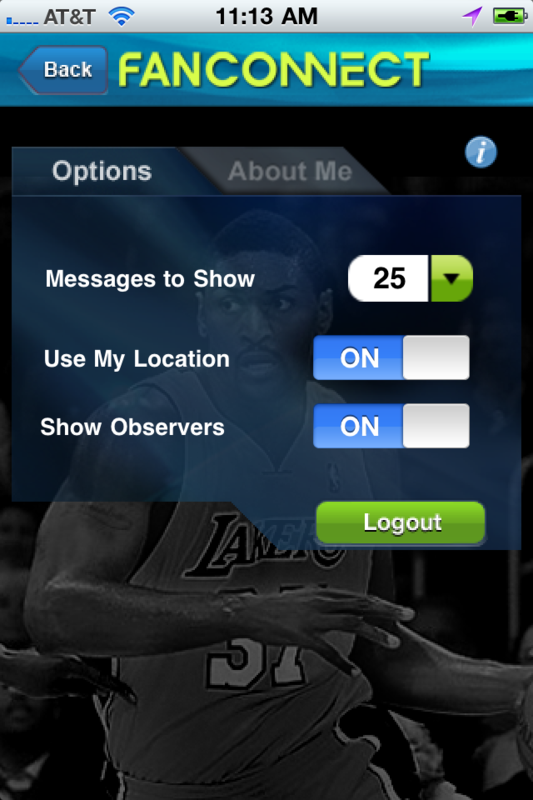 You can connect with other App users at the game and fans who are using the App from at home can follow along with the conversations and action at the game. 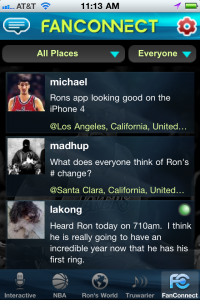 FanConnect has lots of other cool features like allowing you to follow all of Ron’s messages (did we mention that Ron regularly uses the App to talk to his fans? 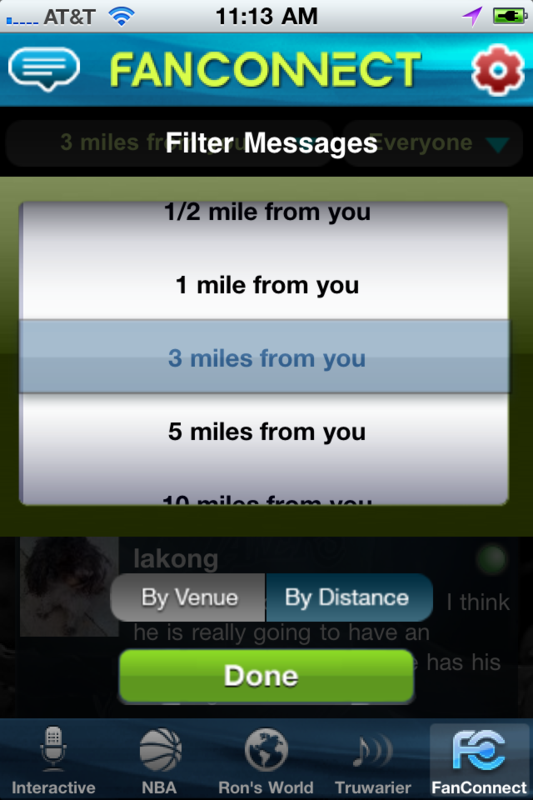 ), favoriting other users and following them too, and finding fellow fans who are nearby. 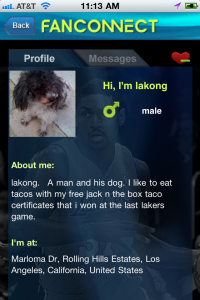 Please download the Ron Artest App and join in the fun. 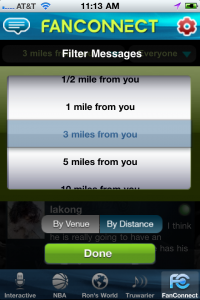 Below are some screenshots of FanConnect in action.